Legendary heavy rockers Def Leppard are re-issuing their back catalogue in special, limited edition boxsets. Available in both CD and vinyl formats, both versions come with 7 discs and a book. 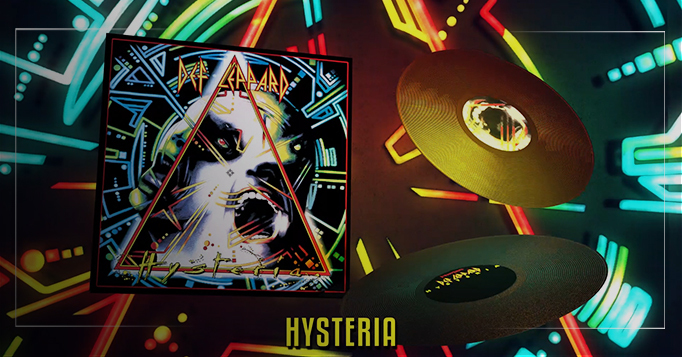 To promote the June 2018 release, Universal Music tasked us with producing an animated unboxing to showcase the vinyl version and feature the CD version at the end. Taking the artwork for each release, 3D models were made of the box, the discs and the records themselves. Each album had its own bespoke background animated, based on elements of the cover artwork. We packed a lot into this 30″ trailer and also produced a 1.1 aspect ratio version for social media use as well. For a motion graphics quote, please email us on [email protected] or Contact Us and we will then get back to you to discuss the project in more depth.